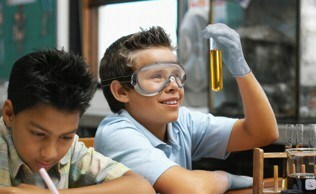 Boost your school's proficiency on the STAR science test. The STAR Power Pack is designed to supplement your school's current science curriculum by using hands-on experiments and exciting demonstrations to prepare students for the California Standards Test (CST) 5th grade science assessment. 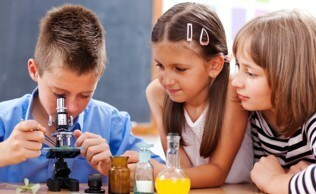 Your students will outshine the rest on the STAR science test once they complete our program! Our professional educators come directly to each classroom, on your schedule. We bring all of the equipment and materials. Mad Science offers three STAR Power Pack options for 4th and 5th grade classes. To meet your needs, choose between a three-pack overview, a six-pack comprehensive and a nine-pack in-depth program. You may select any combination of topics and package size based on the science standards you would like to focus on. Prices include all materials for a class of 30 students. A travel fee may apply.